In a perfect world, maybe we'd get to drive high-performance vehicles on the race track any time we want. But most of us don't get to live that reality. And while this may not quite be the next best thing, it is at least a fun and welcome distraction from whatever it is you're doing instead of spending a day at the track. 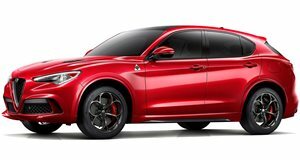 Alfa Romeo launched this little online game that lets you drive a Giulia Quadrifoglio or Stelvio Quadrifoglio around a virtual Monza circuit, collecting points by slaloming through as many of the brand's emblems as possible. The game is set to an interactive rendition of Beethoven's "Ode to Joy,” and lets you play the classical song with each emblem you pick up. And the Quadrifoglio duo makes for as good an avatar as any. They may not be as nimble as, say, the Alfa 4C or the 8C that came before, but they're significantly more potent than either. 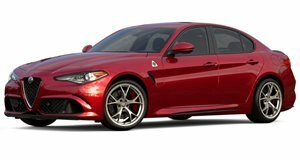 The sedan and crossover are both powered by a 2.9-liter twin-turbo V6, based on a Ferrari block and producing 505 horsepower and 443 lb-ft of torque – 12% more power and 24% more torque than the 8C, or 72 and 50% more than the 4C. The Alfa Romeo Experience is part of a multimedia campaign called "Soundtrack" that will extend across television, online, and social-media platforms to highlight the marque's heritage and its historic ties to the Autodromo Internazionale Monza – one of Italy's most famous race tracks and the oldest purpose-built circuit in the world. The 3.6-mile grand prix circuit was built in 1922 and still clocks some of the fastest speeds on the F1 calendar, particularly down the kilometer-long start/finish line and around the Curva Biassono that F1 drivers typically take flat out, reaching speeds around 230 mph.